Sometimes, the unexpected happens. Whether you’re here in Stittsville or the greater Ottawa area, it’s difficult or nearly impossible to predict what’s going to happen on a day-to-day basis. Fortunately, that’s why our insurance brokers in Ottawa are here to help. At Bradley’s Insurance, our home and auto insurance brokers offer a wide range of comprehensive and specialized insurance policies to protect you against…well, life. It’s anyone’s guess as to what can happen with each waking day, and it’s our responsibility as well as our passion to insure our fellow Stittsville and Ottawa communities. Ottawa insurance brokers are a dime a dozen. With so many insurance providers serving the Ontario region, why work with Bradley’s Insurance? Well, beyond our extensive team of insurance experts and comprehensive range of generalized and specialized insurance services, Bradley’s Insurance believes that the commitment to our local Stittsville community is what really sets us apart from the competition. With now four generations of ownership and residence here in Stittsville, the Bradleys have seen the Ottawa-Carleton region grow over the decades. With the explosion of the high-tech sector in the West End of Ottawa, this brought a wave of new homes and businesses to the area. Providing exciting new opportunities and markets for the insurance industry, Bradley’s Insurance grew from a team of father and son to six people, eventually to a team of more than 25 licensed brokers and a total staff of over 35 full-time employees. Despite the growth of our Ottawa insurance brokers, Bradley’s Insurance remains dedicated to serving our local community, working with our clients on a personal level to figure out what benefits them the most. Decades of serving Stittsville’s and Ottawa’s insurance needs has made Bradley’s Insurance a respected name in our hometown. Providing longtime and brand new community members alike with a wide range of insurance brokerage services including home and auto insurance as well as commercial and farm coverage, we are proud to serve our local community. Serving thousands of clients throughout Ottawa Valley, Eastern Ontario and Western Québec, our insurance expertise reaches far and wide but the dedication to serving our Stittsville home hasn’t changed. Donating their time on a regular basis, our employees Supporting a number of local charities as well as sports teams and agricultural boards, our work goes well beyond providing home and auto insurance brokerage in Ottawa. When you take out an insurance policy, you deserve to be comfortable and informed about who you’re working with. By working with multiple, reputable insurance providers in the greater Ottawa area and all throughout Canada, Bradley’s Insurance is better able to serve our clients. Our Ottawa insurance brokers work with these respected providers to help find you the best possible insurance policy for your needs and your budget. From commercial insurance to personal and specialized brokerage services, businesses small and large can benefit by working with Bradley’s Insurance. Visit here to learn more about the specific insurance companies that we represent. Though we offer an impressive number of insurance services, home insurance is among the most common. Your home is more than a place to call your own, to feel comfortable in and to raise a family – it’s also a major investment. With your typical 30-year mortgage, it takes the average Ottawa homeowner a long time to pay off their home, and should something bad happen, it pays (literally) to insure your home. Indeed, for most people, owning a home is most likely the largest purchase they’ll ever make. Security measures like alarm systems are a wise choice, but nothing will protect your home like a homeowner’s insurance policy from Bradley’s Insurance. To us, you should never have to worry about your home or your belongings when you leave or travel for an extended period of time. If you’ve been overwhelmed by the sheer number of home insurance options and policies on the insurance market, take comfort in the fact that our insurance brokers in Ottawa will work with you personally to help guide you to a confident, informed decision about your homeowner’s insurance policy. Our clients can also rest assured knowing that most, if not all homeowner’s insurance policies typically include coverage for your contents, protection for your detached private structures (a barn, shed, etc.) and other additional living expenses and personal liability matters. Our Ottawa homeowner’s insurance experts will also work with you to discuss any additional options that you might want to add to your policy. Doing so will help ensure that you’re more extensively covered, especially in the event of something rare or unlikely. Additional coverage measures include things like sewer and/or sump pump backup, identity theft, and earthquake coverage. With our the highly competitive insurance companies that we work with, you also have the option to insure specific items such as jewelry, fine arts, and valuable collectibles. Learn more about home insurance in Stittsville to discover how you can save money on your policy. Did you know that it is estimated that 40 percent of high value homes are underinsured? Oftentimes, homeowners will only hold enough insurance to cover their mortgage or the sale price of the home, and, unfortunately, not enough to include custom work or specialty construction. High value home insurance is exactly what it sounds like. While most standard homeowners policies don’t guarantee full repair or replacement in the event of a major loss, most of the time, high value home insurance covers these costs in full. 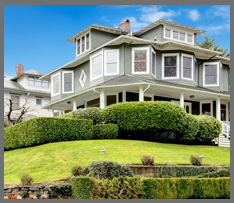 This specialized homeowners insurance policy is ideal for custom homeowners, owners of a rare, historic or renovated historic building, or owners of large properties. Again, with more extensive coverage than regular home insurance policies, high value policies are tailor made for the individual. It’s important to keep in mind that high value coverage is also covering your lifestyle, not just your home or physical assets. Personal umbrella policies from Bradley’s Insurance are available to extend liability coverage well beyond what is covered on your base policy. Though not everyone gets to afford the luxury of having multiple homes, it’s really nice to have a second vacation home or an auxiliary property for you and your family to spend some getaway time. However, you’re not there all the time, so what would happen if a natural disaster struck, or someone tried to break in? If it’s your property, it needs to be insured properly. 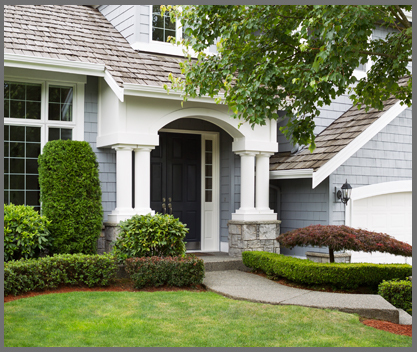 Fortunately, Bradley’s Insurance offers seasonal home insurance policies as well as secondary home insurance policies. Are you covered? So, what’s considered a second home? In most insurance situations, a property must be accessible at any time of the year, and it also must be heated and used on a regular basis. As a convenience to existing homeowners with coverage, secondary homeowner policies can be combined with your existing principal residence policy or on a standalone basis with certain insurance companies. On the other hand, if your secondary home is strictly seasonal or a rustic (yet charming!) cabin in the woods, the coverage options are not as broad as those available for a second home. With a true seasonal or sparsely-occupied home, coverage options are usually restricted to Named Perils Coverage. Burglary and Malicious Damage coverage may also be purchased at an additional cost. As always, the team of auto and home insurance bundle experts at Bradley’s Insurance are more than happy to go over these options with secondary and/or seasonal homeowners. ccident benefits, direct compensation and uninsured motorist coverages. Do you know the factors that go into determining the rate for your auto insurance policy? Going beyond age, year, make and model and driving experience, the insurance providers we work with at Bradley’s Insurance take other factors into account. When calculating your rate, our trusted providers also look at things like distance to work, annual driving mileage, years with prior insurance providers, and whether the vehicle in question was purchased new or used. While driving is necessary to get around in today’s world – especially here in the greater Ottawa region – it’s also a liability. After all, you are operating a multi-ton vehicle capable of reaching fast speeds, navigating the road with other drivers whose actions you cannot predict. So, should anything go wrong, your auto insurance coverage through us acts as a protective shield, absorbing the financial blow and helping you recover quickly on a physical level. 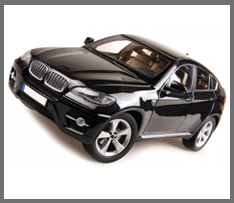 Overall, auto insurance protects you and your vehicle in case of loss, bodily injury or property/vehicular damage. Standard protection generally includes liability, collision, and comprehensive. Liability coverage is when you are legally responsible (at fault) for bodily injury or property damage, while collision insurance covers your vehicle for at-fault losses or hit-and-runs. 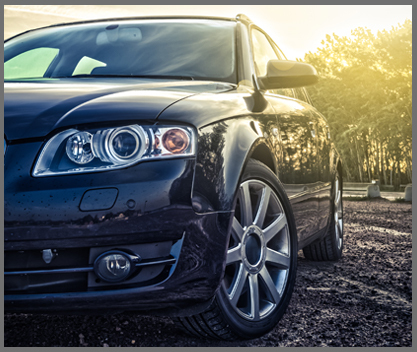 Comprehensive insurance is a safe bet, covering your car for damages other than collisions. For a total peace of mind on the road, full coverage is strongly recommended. Did you know that in 2012, GPS manufacturer TomTom released a report ranking Ottawa as the third most congested city in all of Canada? With our volume of traffic, it’s a smart move to have more-than-adequate car insurance coverage. Whether you’re driving a car, truck, SUV or minivan, Bradley’s Insurance can help you find the total coverage you deserve for a peace of mind on the road. For you classic car owners out there, we respect your passions! That’s why we’ve partnered with Hagerty Insurance, specializing in unique vehicle coverage and classic car insurance. Motorcycle insurance and RV insurance are also available for those who enjoy branching out from driving a more traditional vehicle. We enjoy exploring the open Canadian roads just as much as you, so why not get the best auto and general vehicle insurance coverage available? As far as insurance coverage goes, getting an umbrella policy with home and auto insurance coverage is the best of both worlds. Covering your vehicle and place of living are already necessary as it is, so why not look into an umbrella policy at Bradley’s Insurance? An Ottawa home and auto insurance bundle provides the ultimate safety net to protect the things you love. Even if the limits on your auto and home liability policies are upwards of $500,000 or even $1,000,000, these limits are not sufficient in certain cases. Such as in the case of a nasty auto accident or an injury occurring on your own property, it is possible to get sued, and it pays to be prepared for an impending lawsuit. While our home and auto broker experts wouldn’t wish a lawsuit upon anyone, an umbrella policy from us can help you prepare for the worst. When facing a lawsuit, defending yourself can often cost exorbitant amounts of money, and judges and juries can be both unpredictable and even subjective. Not only that, but it doesn’t cost the suffering party any money to initiate a lawsuit. Even just one of these reasons is reason enough to look into umbrella insurance in Ottawa. Your Stittsville insurance specialist at Bradley’s Insurance will work with you personally to find the best policy option for you and your life situation. There’s no “one-size-fits-all” insurance policy, but an umbrella policy or an auto and home insurance bundle is a comprehensive and safe bet for many of our fellow Ottawa residents. As we mentioned above, it’s often impossible to know what lies ahead of us, whether its minutes or years into the future. To provide you with the peace of mind and financial protection you deserve, Bradley’s Insurance offers a comprehensive range of insurance services to keep you and your loved ones protected no matter what happens on the road and in your home. Insurance can often be confusing and complicated, but our team of auto and home insurance brokers in Ottawa makes it easy to find the best policy that works for you. Get in touch with Bradley’s Insurance today to get started!